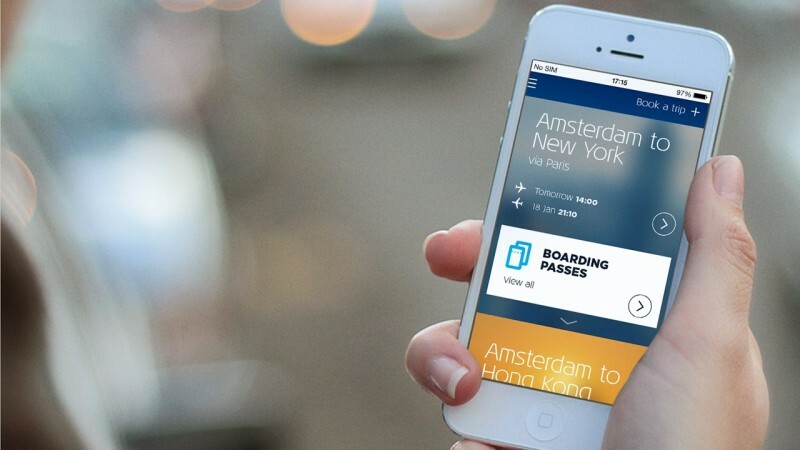 As of today KLM Royal Dutch Airlines launches its new smartphone app for iOS and Android. Reflecting KLM’s mobile strategy to deliver the individual customer the right service, at the right place and at the right time, the new KLM app responds to the passenger’s personal needs. By always thinking one step ahead, the new KLM app makes travelling even more comfortable, proving to be a truly reassuring travel companion. As soon as the customer opens the app, it shows the most relevant information at that moment in time and the best next action to take. In addition, a simplified booking tool, one-tap check-in, quick payment and effortless seat changes further contribute to a better and more personal customer experience. The launch of the new app marks a first step in re-defining the KLM digital ecosystem. The apps flat, modular architecture, together with its brand new APIs can be extended to any other digital touch point. This approach enables KLM to offer customers a frictionless and familiar experience – anywhere, anytime, on any device. Moreover, KLM will be able to analyze a customer’s previous behavior and learn about preferences to make a personalized offer e.g. a window seat. The new KLM smartphone app is now available in the Apple App Store and Google Play Store.